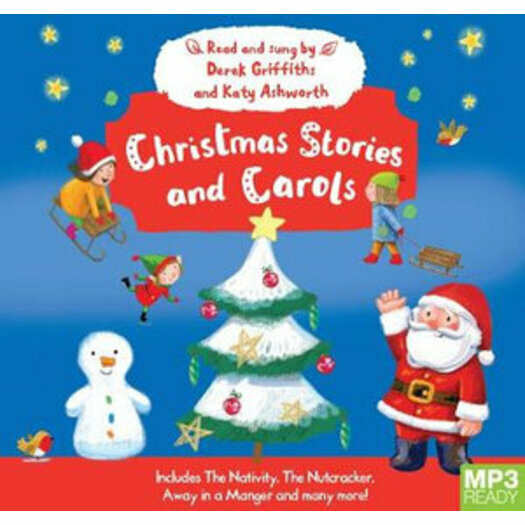 A seasonal mix of popular stories and well-known carols for the whole family to listen to at Christmas. Take a sleigh ride to the Snow Queen's palace, a trip on a donkey to Bethlehem or sing along with Good King Wenceslas in Christmas Stories and Carols. With an approximate running time of 70 minutes, these well-known Christmas stories and carols, read and sung by popular Children's TV presenters Derek Griffiths and Katy Ashworth, will bring festive cheer to every family. Added sound effects and music will keep children listening again and again, at home or in the car.